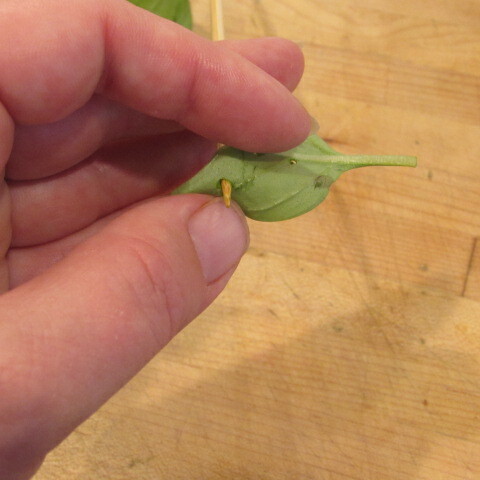 Talk about your “fast food” with no cooking skills required! 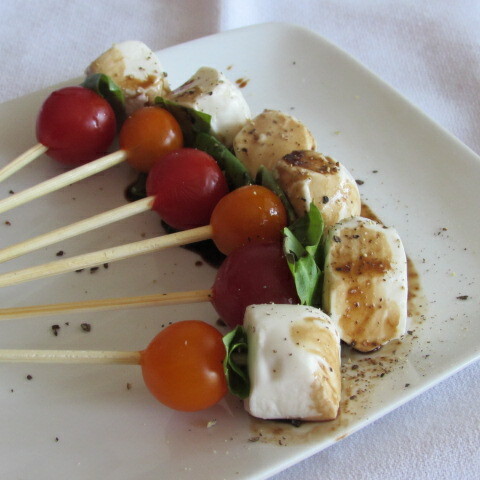 If you are throwing a party on the fly, this is a great, healthy dish that is ready to go in minutes which doesn’t even require the use of an oven. 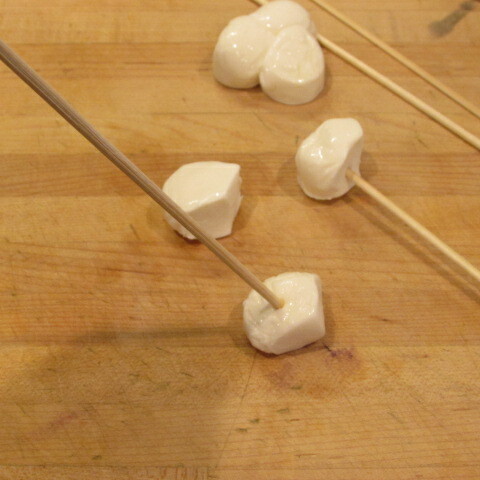 This is one of our all-time party favorites. 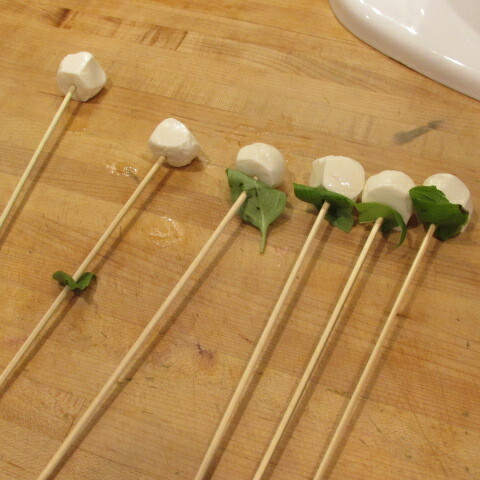 And what’s better than a “salad” that’s nearly half cheese, eaten in one bite from a stick!?! 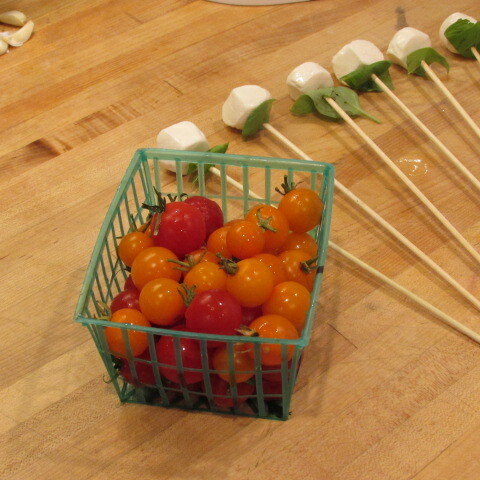 So when Amelia recently picked up these gorgeous cherry tomatoes from Mana’s Ranch in Esparto, I knew exactly what I had to make! 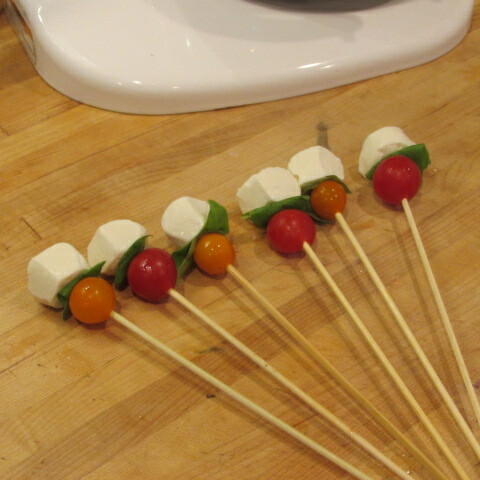 Place a fresh mozzarella ball on the end of a skewer, thread a small piece of basil, then a tomato to meet up with the mozzarella ball at the top of the stick. 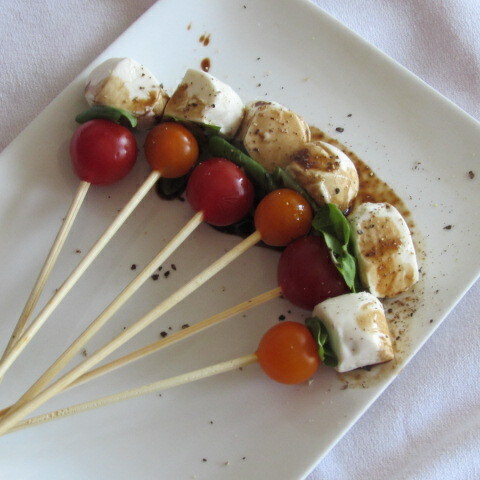 Place on a platter, drizzle with a little balsamic vinegar and grind some freshly cracked black pepper on top. 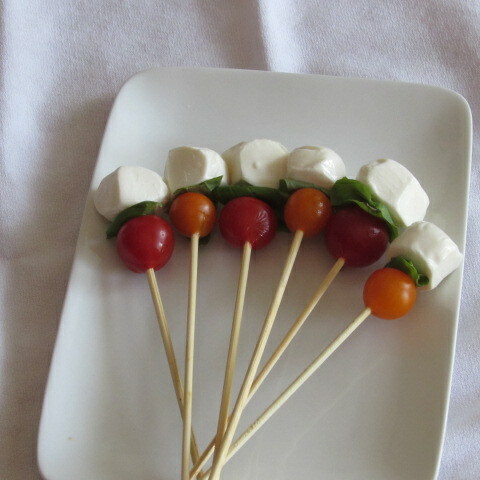 Tags: appetizer no cooking, Caprese salad on stick, easy appetizers, fast dish, food, healthy appetizer, no cooking skills appetizer, with images. Bookmark the permalink.